Need some inspiration to resurface your floor? We have you covered! Reach out to Béton Surface if your region is no not listed. 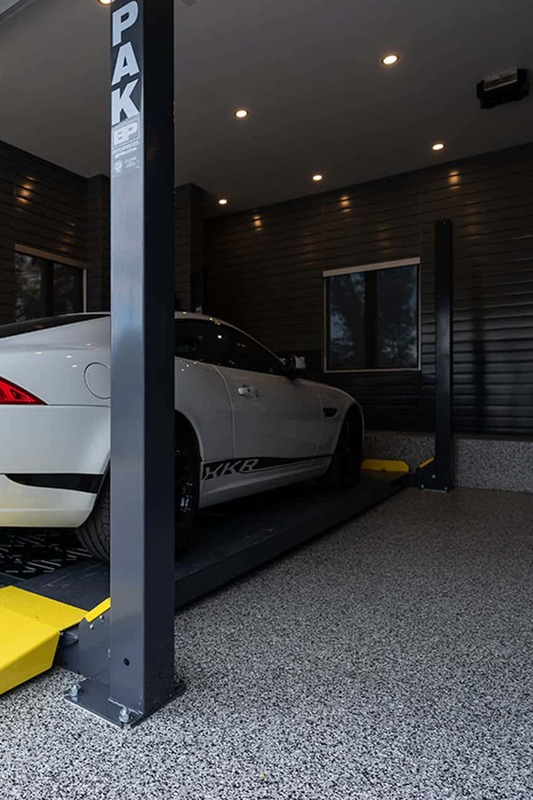 Creating the perfect garage floor doesn’t just mean using the most expensive products – you also need to know how to apply them and how to provide flawless customer service. To fulfill all these requirements, Béton Surface has developed exceptional work methods and customer service. 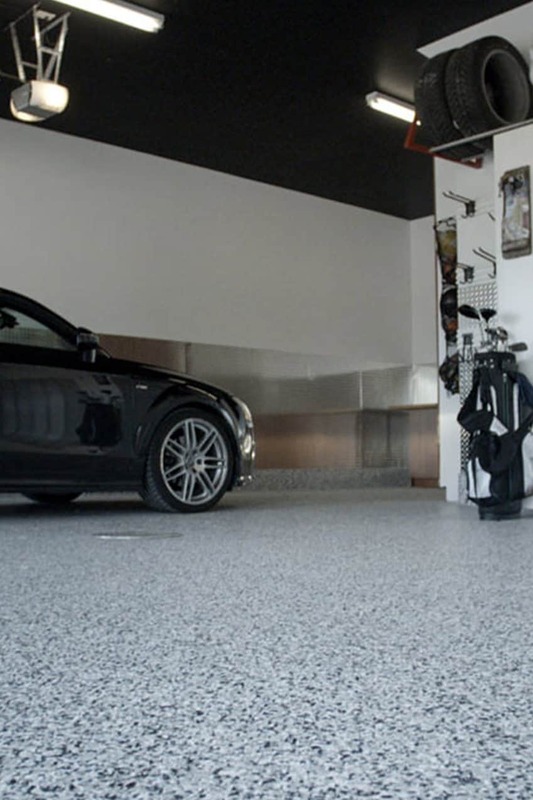 Here are the main steps involved in obtaining a dream garage floor. Thanks to our online tool, you can have an immediate free quote estimating project costs. 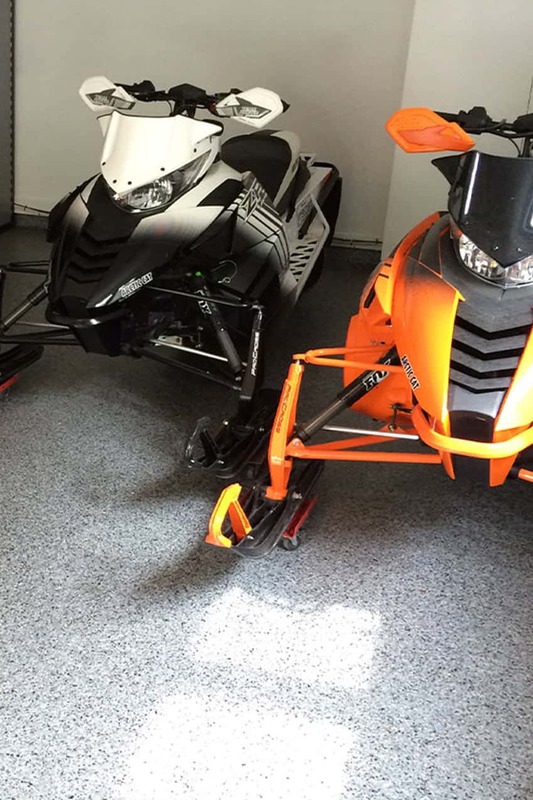 Once your choice is made, one of our experts will visit you to finalize the next steps of your project. Our team of professionals will come to your place to renovate your flooring in less than a day, regardless of the weather. The method of Béton Surface to get a floor worthy of F1 !!! 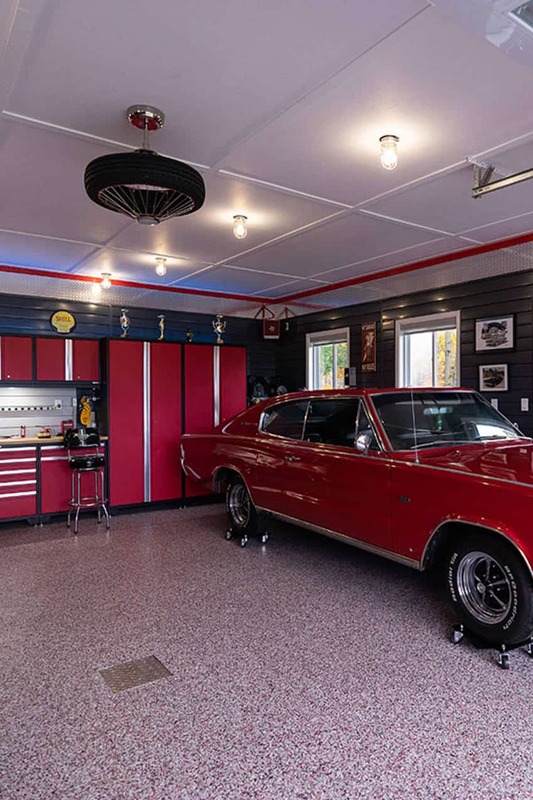 The popularity of our services lies mainly in our process that we have developed over 10 years to make your garage floor a centerpiece of your home. 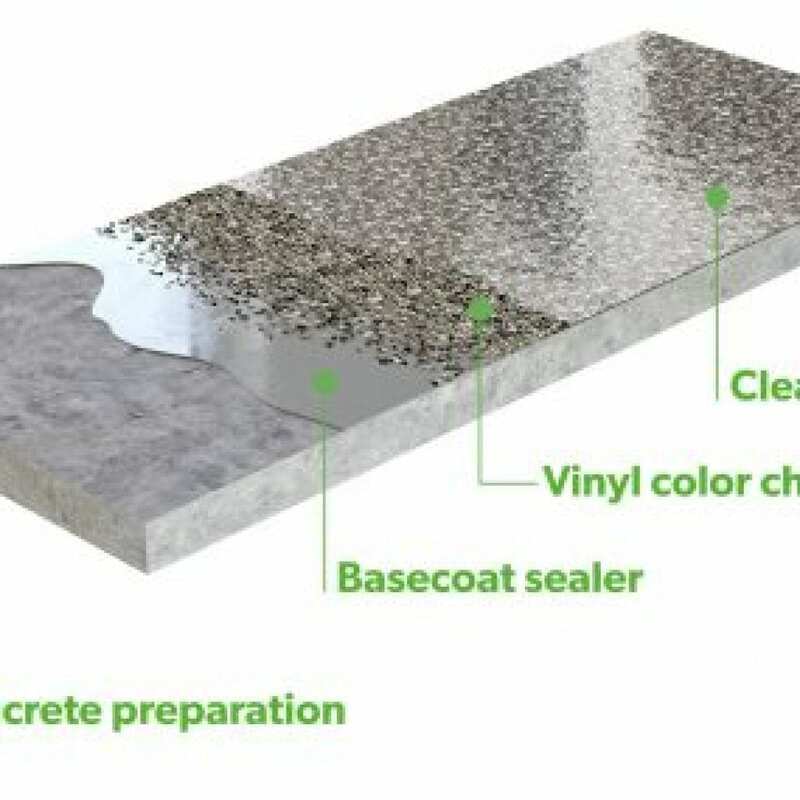 It is not enough to apply our industrial quality product on your residential garage floor. We must follow a precise method and crucial production stages, from preparation to finishing. Here is a summary of the 4 main steps. I agree to receive by e-mail new information about Béton Surface. The concrete slab is prepared with an industrial diamond grinding machine. The fissures are enlarged and filled with liquid clogging Polyurea. The garage floor is sealed with a color Polyurea that will be the link between the concrete and the upper layer. We saturate the floor with the colored vinyl flakes of your choice. After an hour or two of drying time we can remove the excess. A clear finish with Polyurea just seal the vinyl flakes and allows creating an antiskid and washable surface to host your vehicle. We offer the best flooring solutions for garage floors and other concrete surfaces in the industrial and residential sectors. Trust the experts at Béton Surface and enjoy unparalleled service. © 2019 Béton Surface, All rights reserved | website by W.I.G. Design Inc. Your dream floor, more accessible than ever! * For a floor of $2 000 over a period of 48 months.